Spring has finally arrived at VIU and there are many fun and exciting things to do this April! We’ve put together a great list of things to do to get out of the house and enjoy the wonderful warm weather this spring. Diversity Luncheons are designed to educate VIU and local community about different cultures – customs, foods, religions, languages, music, and traditions! VIU`s upcoming diversity luncheon topic is Easter, which celebrates Jesus Christ’s resurrection. It is one of Christianity’s most important holidays. We are inviting all local community to have a traditional Easter meal on our campus at 4401 Village Dr. Fairfax, VA on April 17th at 11:30 am to 1:00 pm. The admission is free. Also, check out the VIU calendar for upcoming luncheons! Old Town Alexandria is not only charming in its historic setting, but it is also bountiful with many exciting shops. Have lunch on the river then enjoy a walk around the marina and the historic streets. There are antique stores, art galleries, hotels, stores selling knickknacks, with plenty of restaurants and local pubs. Make sure to check out the water taxi that takes you from Old town to Georgetown in Washington, DC and National Harbor in Maryland. If you’re looking for historical attractions, you’ll find them – there are a number of preserved colonial-era homes and establishments that offer tours. 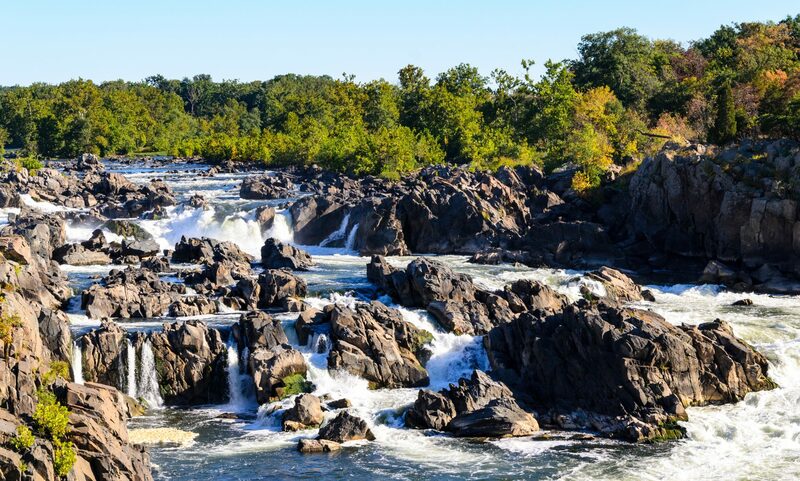 Great Falls Park is a place for everyone – hikers, sunbathers, and picnic goers. With plenty of hiking trails, walking paths, picnic tables and off course lovely views of the Potomac River. This wonderful place can be visited numerous times during the different seasons. It is a refreshing and nice way to relax on the weekend. In addition to the beautiful waterfalls, you can kayak and paddleboard. Parking is free, but the park fills up quick so head out first thing in the morning! Smithsonian National Air and Space Museum is one of the biggest air and space museums in the world located near the Dulles International Airport in Chantilly. Get ready to see an amazing attraction of planes and rockets from the entire era of flight! The admission is free but parking is $15 if you drive. To get a better insight of aircraft history, take a free tour with one of the guides, or wander around as the museum is self-guided too. This huge building was built to house aircraft that are too large to fit into the ‘original’ Air and Space museum, like the Enola Gay, the B-29 that dropped the first Atomic Bomb and the Discovery Space Shuttle. They also have a Boeing 707, a Concorde, SR-71, and Bob Hoover’s Shrike Commander. This is a must see museum in Richmond that is well worth the trip – plus it’s free. You will see astonishing art, sculpture, and interesting artifacts housed in an open, spacious setting. The collections cover many genres and art forms but include many impressive works. The exhibitions are very varied- from a collection of German expressionist paintings, Egyptian and Renaissance art, the famous Fabergé egg, and Paul Mellon’s Sporting art collection to English sports paintings. There is something for everyone! If you get hungry, visit the ground floor cafe to enjoy some pastries or visit their rooftop restaurant with a great view of Richmond.